1) Issuing bank shall be with good credit standing, credit rating by Bank of China’s data shall be BB+ or higher. 3) Customs clearance and international freight forwarding must be entrusted to ADP and service of financing could not be rendered until cargo ownership is fully transferred to ADP. 4) The clients shall pass the credit investigation by ADP. 1) For producers：not exceeding 70% of L/C value each time（Financing amount will accord to the value of every single batch for partial shipment）. 2) For trading companies：not exceeding 70% of order value each time, maximum value is 600,000RMB（Financing amount will accord to the value of every single batch for partial shipment）. Import and export agency, door to door logistics, collection and payment of foreign exchange and insurance, etc. Integrated and comprehensive trading services including customs clearance, logistics and financing, of which financing will be granted after ADP’s examination, acquisition of cargo ownership and real estate mortgage. Foreign seller and domestic clients need to pass the credit investigation by ADP and credit standings shall be BB or higher. Contract and relevant documents provided by clients must be authentic and legal. Deposit from clients for L/C application shall be 30% of L/C value, meanwhile ADP should be appointed as the agent for customs clearance etc and cargo value shall be assessed and confirmed by ADP. For L/C at sight, clients shall mortgage real estates, marketable securities and bank acceptance bills which are of equivalent value of the cargo. If the mortgage is the cargo imported, partial pick-up is allowed according to ratio of the loan repaid. Delivery period is regulated to be within 90 days (90 days included). For the deliveries before L/C usance is due, the clients shall mortgage real estates, marketable securities and bank acceptance bills as well. The corporate principal and his/her spouse shall assume the obligations under bond. 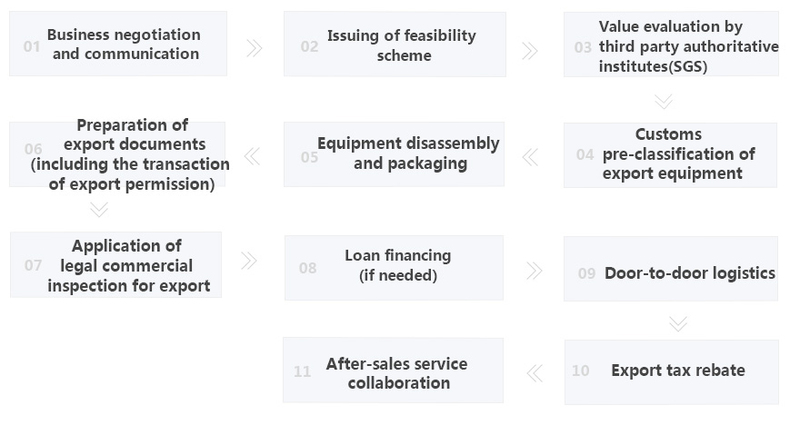 Amount of financing：not exceeding 70% of L/C value per time and maximum amount shall be RMB 1 million. If the mortgage is the cargo imported, storage fees shall be charged according to actual expenses. We provide international trade supply chain services for both Turkish suppliers and providers. ADP promises not to earn price difference or commission from Turkish suppliers & providers and only charges service fees. ADP can act as an international purchasing agent for raw materials and machinery equipments and parts etc, of which brands, specifications and item numbers are specified by customers. Helping domestic companies that lack the capacity for international sourcing and are unable to make purchases directly from overseas manufacturers, getting rid of domestic monopoly, as well as reducing procurement costs, avoiding counterfeit commodities. 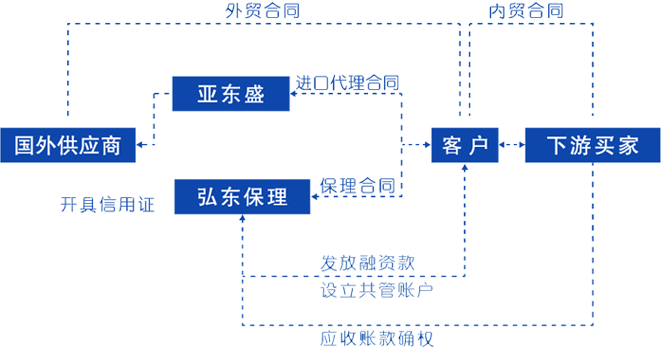 Wide Service Network: ADP group has joint ventures and subsidiaries in many countries and districts, such as USA、Japan、Italy、Canada、Germany、Australia、Singapore、Malaysia、Thailand、Hong Kong and Taiwan etc, sourcing and purchasing can be conducted directly from these areas. A team of specialized professionals: all sourcing and operations are conducted by ADP local foreign employees, which prevent effectively culture differences and communication barriers. Complete Support Services: ADP can provide logistics services, act as import agency, apply for certifications and L/C and audit contract etc. Under the import L/C, we offer our clients a one-stop service of international trade and domestic factorage financing that covers the whole process of international and domestic trades. A single case of financing shall never surmount RMB50mln. The financing credit limit could be used repeatedly. A single case of financing shall not surpass 80% of the amount specified on the L/C. Tariff and value-added tax associated with this financing could also be covered by the factorage financing. The accumulated financing amount is not allowed to surpass 80% of the amount specified on the trade contract signed between the client and the buyers at the lower reaches. During the import and export of used equipment, there has long been such difficulties as strict supervision, sophisticated commercial inspection, complex procedure(price review, transaction of permission, etc. ), packaging and disassembly. ADP is specialized in offering the import and export service of used equipment and one-stop supply chain service to the client, thus enhancing the passing efficiency throughout the process and lowering the cost of supply chain. One-stop service, including: Assistance of business negotiation, pricing evaluation by third parties(SGS), international settlement, export tax rebate, disassembly and packaging of domestic and foreign equipment, archiving of commercial inspection(including pre-examination), and door-to-door logistics. Professional operation team, powerful service network and efficient professional service; recommend equipment purchase resource and sales channel. ADP provides full supply chain management services for automobile importers with L/C payment term. Services include L/C opening, import agency services, logistics, customs clearance and invoicing etc. ADP has subsidiaries operating in Shanghai, Tianjin and Zhangjiagang, all of them can handle whole process of loading/unloading and stocking, testing, exhibiting, trading, allocation and distribution of vehicles and parts, vehicle customization, financing etc. Quick customs clearance：Customs clearance can be finalized within 10 days if all documents required are available. Complete support services: ADP can provide import agency services, L/C at sight or usance L/C Opening, customs clearance, commodity inspection coordination, warehousing, delivery, invoicing etc. Wide range of qualifications: ADP owns most qualifications for food importation, like alcoholic beverages, pre-packaged food (including prepared and braised food), dairy products (including infant formula), seafood and meat etc., which guarantees smooth and legal importation. Speedy customs clearance: ADP owns the experience with importing over 1000 kinds of food and therefore has the ability to get customs clearance with industry-leading speed. Complete supportive services: ADP provides supportive services during the importation process, such as label translation, label design, import agency, L/C application, customs clearance, commodity inspection coordination, warehousing, sorting, labeling, delivery and sanitary certification application etc. ADP provides one-stop-shop supply chain management services regarding the importation and exportation of electronic components. Q1 By which means can ADP guarantee the safety of customers’payments and cargos? b) ADP guarantees to issue payment within 8 hours after payments are transferred to our account. c) As the specified single point of CPIC, ADP provides door to door insurance for the cargo. Q2：Can ADP apply for multifarious certifications for importation and exportation of electronic components on behalf of customers? ADP guarantees to obtain all certificates required before the shipment arrives, on condition all documents required are provided. Q3：How can ADP guarantee to finalize the customs classification and clearance/declaration? 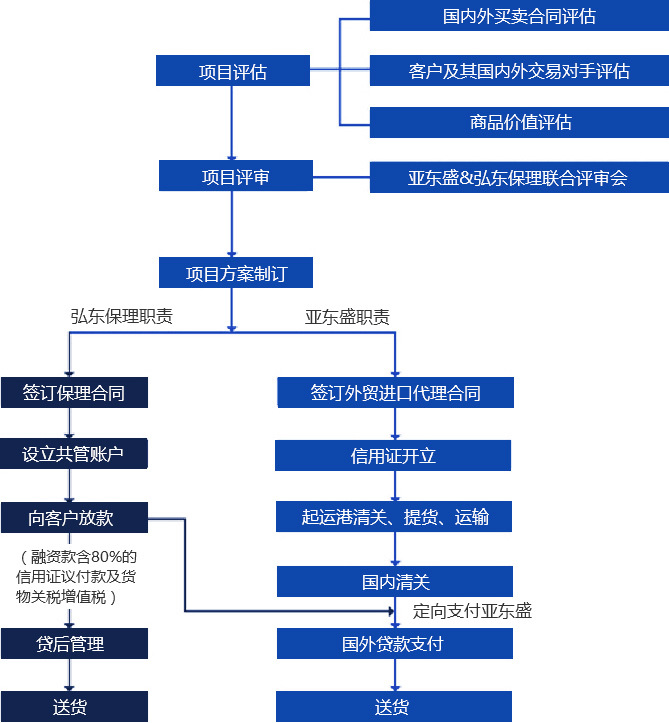 ADP has filed more than 3000 kinds of electronic components and key elements for declaration, and thus set up specialized database of its own, which guarantees accuracy and efficiency of customs clearance. Q4: How can ADP deal with the problem of high inspection rate regarding the electronic components? With more than 10 years’ experience in this field, ADP provides support and guidance during customs inspections with full set of documents prepared to ensure the smooth get-through. One-stop-shop supply chain management services for customers importing cosmetics (including hair care, skin care and oral care products) . These services include corporate registration, customs clearance, sanitary certificate application, design and printing of labels, etc.